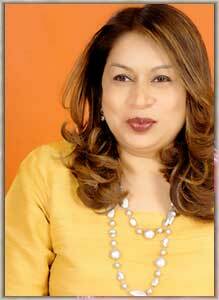 Dr Seema Malik is the face of Malik Group. She carried forward her passion of giving each one the desired look and did intense research on it through out the world. This passion took shape in the form of what we know today as ‘Eleganza’.. Today, under her leadership the company is making immense progress and her vision to make the company the international stop for beauty does not seem a far reality. A doctor by profession but a philanthropist at heart, one cant help marveling her energy level she demonstrates in a day’s work. She has been actively working towards various social causes and is the president of an NGO called SHARP which has till date worked with various agencies such as Helpage India and TDH, Germany. For Dr Seema, who has acquired expertise on the state of art Laser Technology from Florence, Italy and has pioneered The Anti-wrinkle treatment honing them over the years, social work remains a strong priority. Dr Vimal Malik symbolizes professionalism. 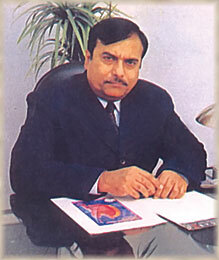 As the chairman of Malik group, he has always strived for new heights and excellence for all the groups establishment. Dr Malik is the head of the Cosmetic Surgery Division of Eleganza and is also a member of the American academy of Cosmetic Surgery. With a backing of years of experience and a team comprising of the best doctors of the city, he leads one of the finest cosmetic surgery Departments of the country. He is the inspiration and the craftsman behind the company's ideology of always being the first to get the latest technologies of the world closer home to the consumer. A perfectionist by nature, he has excelled immensely in his field and that incidentally happens to be his biggest passion. His techniques have been published world wide and thousands of students are practicing and benefitting from them all over the world. All this and more has not changed him as a person, he is humble, soft-spoken, down to earth and affectionate to his patients. 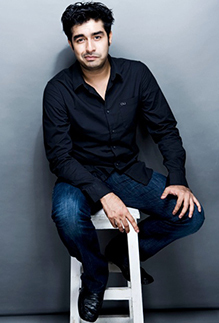 Dr Saurabh Malik is the executive director of Eleganza Skin and cosmetic surgery and director of Malik group, the parent company of Eleganza. Under the guidance of his parents DR VS Malik and Dr Saurabh Malik, Dr Saurabh has been driving the company to newer heights by following the vision of bringing the best and latest to the Indian consumer. Now Eleganza also markets to foreign clients and has setup partnerships with various Medical Tourism departments to be able to cater to the ever-growing needs in the field of Aesthetics in todays world. He is a member of American Academy of Aesthetic Medicine and likes to keep abreast with the latest developments in treatments. Dr Saurabh Malik is also a trained actor, director, writer, filmmaker and theatre artist. He made his acting debut with 'Ab hoga dharna unlimited', a critically acclaimed political satire. In accordance to the message that he tries to perpetuate through his works as a film-maker, actor and theatre artist, Saurabh in real life has always been actively involved with many social causes and is a firm believer in 'giving back' to the society. "Mirchi Jhonk" a social program run by his organisation, works towards women empowerment by holding self-defence programs, distributing pepper sprays and spreading social awareness through media campaigns since 2011.